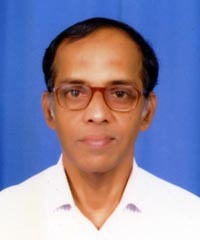 NS Venkataraman is a chemical engineer as well as a social activist in Chennai, India. He is the founder trustee of Nandini Voice For The Deprived, a Chennai-based not-for-profit organisation serving the cause of the deprived and down-trodden and working for probity in public life. The reported statement of the Dalai Lama that the “whole world knows that I am not seeking independence of Tibet” has dismayed supporters of the Tibet. This is NOT the first time that the DL made this statement. Ask him again by all means — he might change his mind to please some journalist. Nehru had addressed this issue before. He knew Tibet was not Sikkimised. When the government of India rescinds its stand that Tibet is part of China, the “one China” policy will naturally fade away. As such, you should approach your government in evanescing the status quo in regard to Tibet. India under Modi is more assertive now than ever before. This is a welcome change for the better.